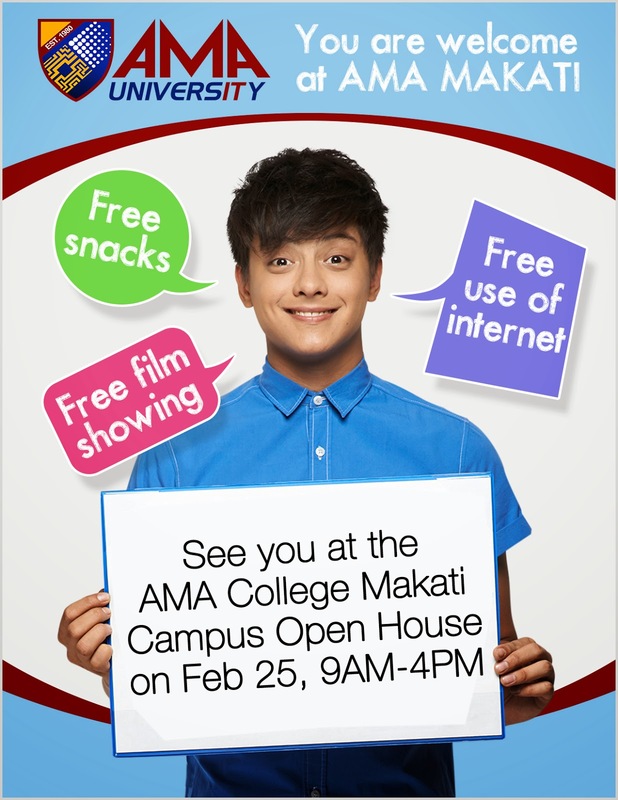 Home » ama college , ama college contact number , ama makati , ama makati campus , ama makati open house , ama makati telephone number , crazy beautiful you , daniel padilla , kathniel » See you at the AMA College Makati Campus Open House! See you at the AMA College Makati Campus Open House! Get a chance to receive movie tickets to “Crazy Beautiful You” starring Daniel Padilla and Kathryn Bernardo when you go to AMA Makati Campus Open House on Feb 25, 9am-5pm! We’ve also prepared some exciting treats and activities for all participants so don’t forget to bring your friends or parents along!